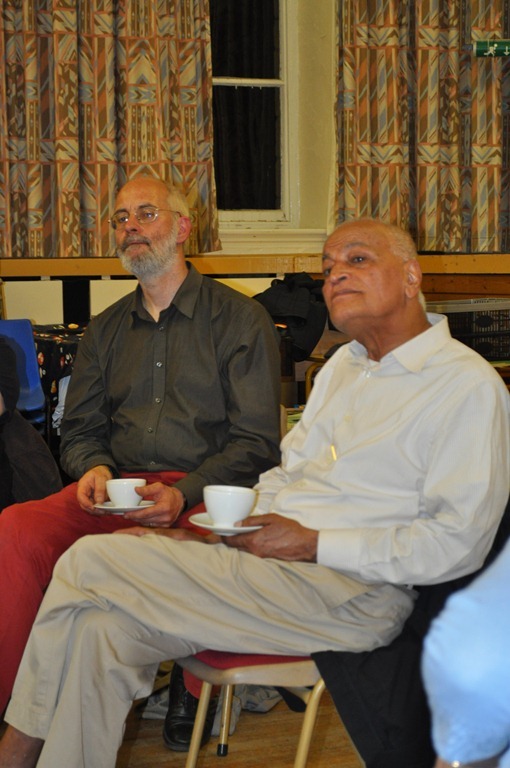 Last night we were privileged to be able to attend a Windmill meeting organised by David Midgeley of Schumacher North at which Satish Kumar shared with us his thoughts on “True Wealth”. 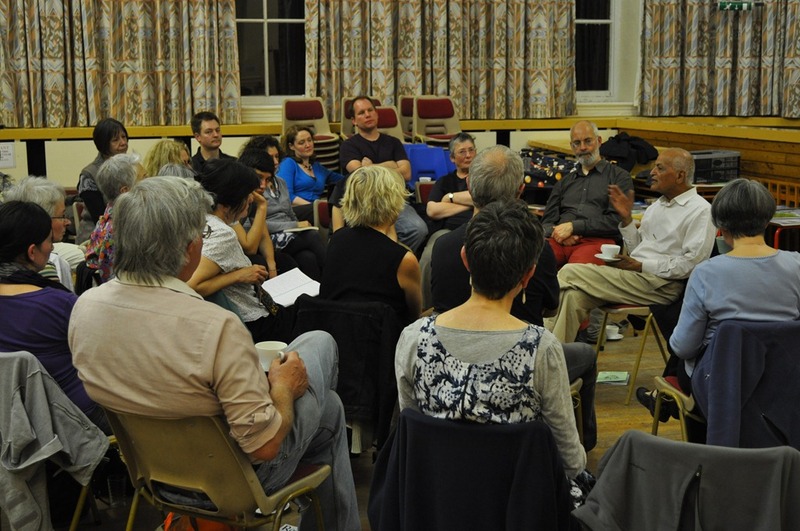 Satish is the editor of Resurgence magazine and has an inspiring history which can be read elsewhere. Here are a few thoughts that came from his talk. Satish started his talk by explaining the derivation of the words “ecology” and “economy”. Ecology has it’s roots in the Greek words ecos (home) and logos (knowledge) whereas economy is derived from ecos and the Greek word for management. If our home is our planet, our environment then both words are about understanding and managing our home better, there should be a strong relationship between the ecology and economics. Our true wealth derives from our natural wealth and our well being. Our real economy is derived from land, labour and capital. Money is only a tool and it must be kept in its place – it is there to serve the economy – the earth – not to dominate it. Satish pointed out that an apple seed is a much better investment than money. If we were to plant an apple seed then in time we will get back delicious food and many more seeds which we can invest. And besides the good return on our investment we can learn spiritual lessons such as the generosity of the apple tree (and you won’t get asked for your VISA card!) and that the tree will show no discrimination towards you, it gives freely to all. The fact that our chancellor of the exchequer never mentions people or land in his budget shows that he is not a true economist! One of the biggest curses of modern society is that we are always in a hurry. The government plans to build a new rail link from London to Birmingham to know 20 minutes off the journey, Satish suggested that we don’t need it, in fact why not make the existing trains slower and make the journey 20 minutes longer so that we have more time to read, watch the country roll by or talk to our fellow passengers? (I’m not sure that my daughter would approve of this as she often finds herself crammed into overcrowded trains!) We need to slow down and get back in touch and more in tune with nature and her rhythms. Satish also talked about education, that knowledge needs to be experienced and not just learnt from books, that we have so much to learn from nature. True wisdom comes from both knowledge and experience, from the head and from the heart. A proper economy, management of our home, means frugality, simplicity and taking care. We need to reduce our footprint, our impact on the Earth. Money is a measure of wealth, it was originally designed as a tool for trading. A tape measure is used for measuring length but we don’t collect lots of tape measures so why do we collect money – this isn’t true wealth. The true wealth creators are the builders, the farmers and people like them who labour – they are paid small amounts. Bankers are not wealth creators and yet they get paid a lot! Everything is upside down. The mantra of bankers is “money, money, money” but we don’t call them crazy but if people hear Satish uttering the mantra “om shanti, om shanti, om shanti” (peace) they think is a mad old man! We need to change our ideas of what is true wealth, we need to stop comparing and competing and learn how to “be”. Satish was asked about his “Walk for Peace” (see his book “No Destination”) and so he shared a little of his story. Two things that struck me from his story were that miracles can happen when we have nothing, and that our primary identity is as human beings – as living entities, not as Indian or English, Hindu or Muslim or Christian. On the topic of “what do we do when the oil runs out” Satish pointed out that there is no shortage of energy in the world, only imagination. Regarding farmers and their struggle to stay in business, Satish suggested that we try to find ways of paying a just price for food. We are prepared to spend huge sums of money on consumer goods such as fashion label clothing, electronic gadgets, etc but we are not prepared to pay our farmers a fair wage. We should respect our farm workers, we should show dignity to those who labour with their hands. Likewise we should show more respect for the creatures around us, whether we are omnivores or vegetarians. If we are going to eat meat then we should eat less of it and make sure that the creatures have been looked after. We should be encouraged to acknowledge the sacrifice of that fellow being and say thank you to them for providing us with food. There then followed a more open discussion about community and our need to be more connected to each other. As always, Satish had many relevant and challenging things to say. I came away feeling encouraged but also frustrated at how stupid we can all be, how blind we are in our everyday lives to the damage that we are doing to each other and our home planet. If only we could all learn a little bit more about the “True Wealth” Satish talked about, if only we could learn to slow down a bit more and learn to “be”, maybe we would experience a little bit more well being. So, I hope you might find my thoughts from evening useful. If you want to find more inspiration then I can highly recommend Satish’s books or Resurgence magazine – particularly issues 269 and 270 cover some of the topics discussed here. And if you live near Leeds why not come along to some of the Schumacher North events? This entry was posted in Economics, Environment, Inspiration. Bookmark the permalink.